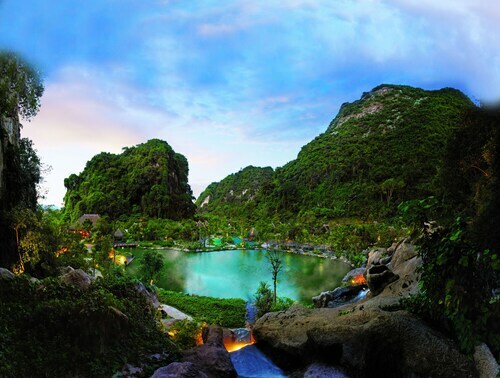 Expedia's Ipoh holiday packages will help you save money! Bundling your reservations will give you more cash to splurge for your amazing adventure. Up to 55%* can be saved when you book your package deal on Expedia. Our extensive database provides more than 400 partner airlines and 321,000 worldwide properties. With such a wide range to choose from, you can't go wrong! Almost all reservations can be changed without any added fees from us. We've got all the red hot sightseeing tips for your upcoming trip to Ipoh. Grab your travel planner and get ready to start filling up that itinerary. Built to worship one or many gods, temples afford travellers an intriguing peek into another way of life. Learn about the local belief system as you walk around the sacred monument that is Kek Lok Tong. There's a wonderful range of things to do in this destination. Temples have long invited pilgrims seeking spiritual enlightenment in a confusing world. Explore the holy site of Sam Poh Tong Temple and immerse yourself in your own mystical experience. Still have time on your hands? Built to pay homage to one or many gods, temples offer travellers an eye-opening look into another religion and culture. Learn about local beliefs and wander through the sacred space that is Nam Thean Tong Temple. Life is either an incredible adventure or nothing at all, so why not open yourself up to some new and thrilling experiences? For a complete list of options, head to our Ipoh things to do page. 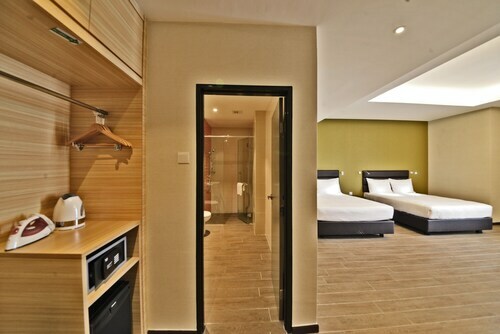 You can expect a wide range of accommodations when you head to Ipoh. With no less than 49 properties available, it won't be a problem securing a nice place to sleep for your luxury getaway or cheap holiday. Room service, deep bathtubs and high-quality furnishings are just some of the things you should find waiting for you at the WEIL Hotel (292, Jalan Sultan Idris Shah) and the Kinta Riverfront Hotel & Suites (Jalan Lim Bo Seng). Book now for a taste of the good life! If you don't feel like handing over such big bucks, why not spend your evenings somewhere more affordable? Try the Chariton Hotel Ipoh (B-G-28, Jalan Dr Nazri Shah) or the Seemsoon Hotel (No 2, Regat Dato Mahmud). We know the airport won't be the most exhilarating moment of your holiday, but there's nothing like the excited thrill of knowing that your trip to Ipoh is not long away! Once the plane lands at Sultan Azlan Shah Airport (IPH), you'll be 4 miles (6 km) from the middle of town. 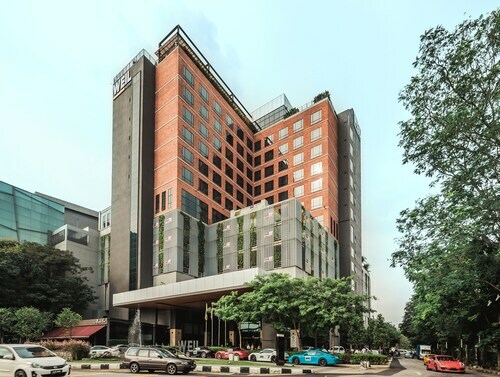 Located in Kinta, this hotel is within 1 mi (2 km) of Yasmin At Kong Heng Museum and Ipoh Parade. Han Chin Pet Soo and Ipoh Mural are also within 10 minutes. 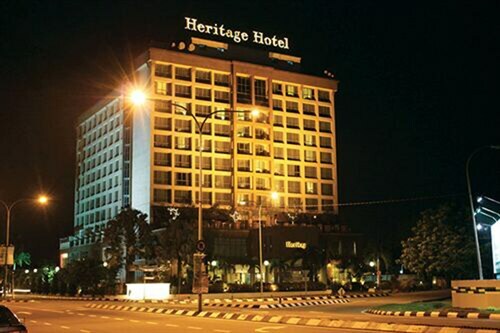 Located in Kinta, this spa hotel is within a 5-minute walk of Dataran Ipoh and Ipoh Parade. Angsana and Han Chin Pet Soo are also within 1 mile (2 km). 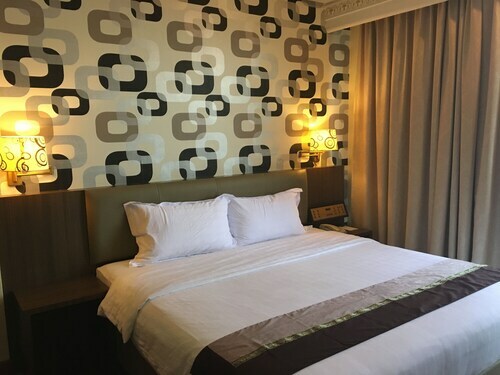 Located in Ipoh, this family-friendly hotel is 1.3 mi (2.1 km) from Lost World Tambun, and within 9 mi (15 km) of Kinta City Shopping Centre and Ipoh Parade. Perak Tong Cave Temple and Movie Animation Park Studio of Perak are also within 12 mi (20 km). Located in Ulu Kinta, this luxury hotel is 0.5 mi (0.7 km) from Lost World Tambun and within 6 miles (10 km) of Ipoh Parade and Kinta City Shopping Centre. Royal Perak Golf Club and Sultan Abdul Aziz Recreation Park are also within 6 miles (10 km). Located in Kinta, this hotel is within 1 mile (2 km) of Nam Thean Tong Temple and Sam Poh Tong Temple. Royal Perak Golf Club and Kek Lok Tong are also within 3 miles (5 km). 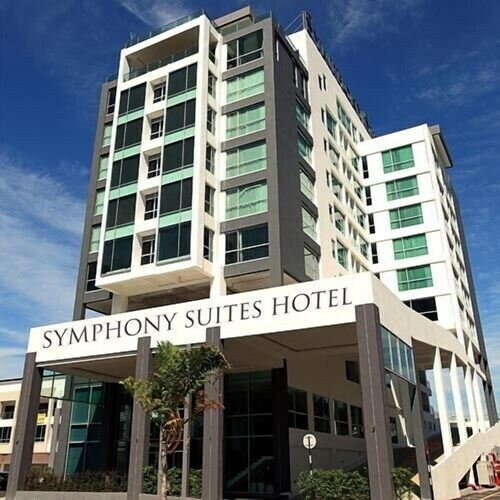 Located in Kinta, this hotel is within 2 mi (3 km) of Ipoh Parade, Perak Stadium and Ipoh Mural. Royal Perak Golf Club and Kinta City Shopping Centre are also within 3 mi (5 km).